The Cameron Highlands is one of the most popular tourist and local destination in Malaysia. With its cool temperature, it was perfect for growing continental crops and fruits for its visitors. Although you can do a lot of things during the whole day tour, you will be surprised to discover that you can even do more at the lovely active nights at Cameron Highlands. Starting from early evening until late at night every Friday and Saturday, the night market at Cameron Highlands attracts a lot of visitors. 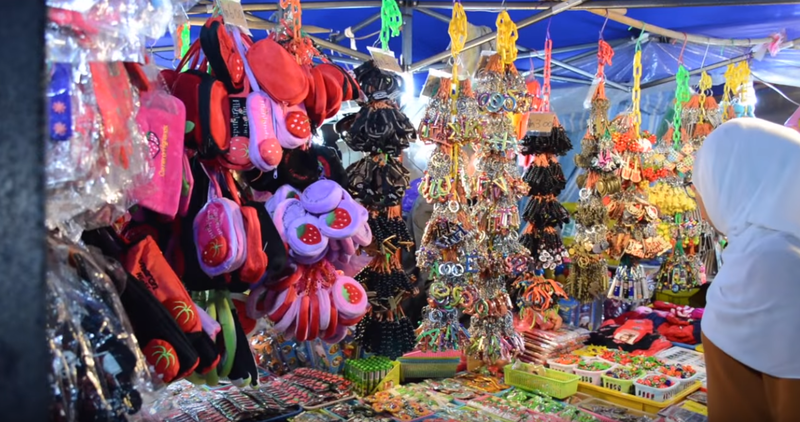 The night market showcases the native products of the place such as fruits, tea blends, vegetables, and other colorful souvenirs. They also offer food from the different cultures in Malaysia on their stall that you can try in case you get hungry from all the walking and buying. Find out more other shopping tips here. If singing and music are what you would prefer to do, Cameron Highlands offers an abundance of karaoke bars and clubs, these places even offer live bands if you would prefer to listen rather than sing. One of the more known karaoke places in the area is the Strawberry Club that is located in the Strawberry Park Resort. They offer a good range of beverages and even has a dance floor with a deejay if you are done singing in their very comfortable and well-lit karaoke. When looking for the best food in the area Tanah Rata is the place for you. Aside from all the food, the place can offer, you can explore the area more and find clubs and lounges you can enjoy. This place also has a lot of hotels and resorts that can accommodate both tourists and locals and also serves as the main receiving hub for public transport from places like Singapore and Kuala Lumpur. Located in Tanah Rata, this bar is one of the most popular bars in the area, especially for the foreigners. They serve a good range of beverages and always feature soccer, which is Malaysia’s national obsession on the big screen televisions. This bar has a friendly atmosphere which helps it to be less intimidating, especially for first-time travellers. Also located in Tanah Rata, this bar is like a sanctuary for young travellers. It is not as easy to locate and you might need to ask the locals for direction to find the Jungle Bar. As the name suggests, the bar is jungle themed. The drink prices are affordable and the environment is friendly. They also serve both Asian and Western food, so whatever your taste bud craves, they will have it. For a nice quiet evening, the Cameron Bar at the Lakehouse is the place for you. This bar is a cozy and sophisticated place that broadcast different sports feed. This is not a place for a loud party, but a chill, quiet, intimate drink with friends or family. For a trendy bar, the Cricket Lounge is the place for you. This is also one of the most popular bars in the Cameron Highlands, like most bars in the area, they have sports feed on their television, and what this bar boast more, is their fast internet connection making it famous for foreigners and locals alike. They offer a decent selection of drinks and snacks at a very reasonable price. There are a lot of things that can be done at Cameron Highlands even at night, but whatever you might choose, always remember to be careful and do all things in moderation so that the fun will not compromise the safety.